The LU96Z-series uncooled pump laser module in an 8-pin mini-DIL package is II-VI’s third-generation uncooled pump module providing low power consumption for highly reliable metro, cross-connect, SFF single and multi-channel amplifier designs plus high bit-rate, per-channel amplification. 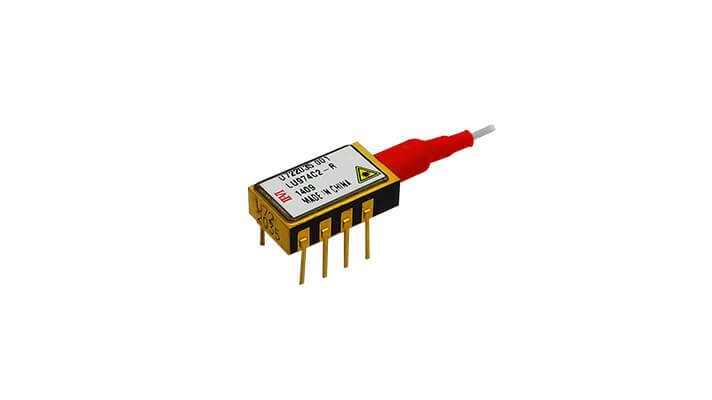 The LU96Z-series is designed for uncooled operation at high temperature and power levels. Qualification of the enhanced G08 chip ensures high reliability even at high operating power, 75°C. External Fiber Bragg Grating (FBG) stabilization provides excellent wavelength and power stability over the entire operating temperature range.